Marvel have had two attempts at filming Spider-man over the last 15 years, each with different degrees of success. The latest version sees an excellent Tom Holland taking over the role of Peter Parker, the young boy who is given magical spider powers after being bitten by a radioactive spider. Set several months after the events of Captain America: Civil War, Peter Parker is back staying with his aunt (Marisa Tomei) and is still coming to terms with his new powers. Given an internship by Tony Stark (Robert Downey Jr) Peter struggles balancing his normal teenage life with trying to be a superhero. Seen as a bit of a geek at school, Peter, along with best pal Ned (Jacob Batalan), is part of the school’s Academic Decathlon team. With prom coming up Parkers thoughts are more towards getting a date rather than fighting crime. Just as proms coming up and he’s trying to catch the eye of the girl of his dreams (Laura Harrier) Peter is forced to make choices after scrap metal dealer, Adrian Toomes (Michael Keaton), who has been robbed of his livelihood by the Department of Damage Control, decides to start selling alien weapons to local criminals. Thinking that he’s up for the fight Peter tries to prove on his own that he’s good enough to be an Avenger by tackling Toomes, who is given the nickname of The Vulture because of his huge metal wings that allow him to swoop across the sky. Peppered with some terrific set pieces, Spider-man’s fight with The Vulture aboard the Staten Island Ferry and his rescue of his friends from the Washington Monument are practically good. Spider-Man: Homecoming strikes the right balance between a coming of age story and a typical marvel film. Filled with humour and heart, Spider-Man: Homecoming shows that when it comes to superhero movies, it doesn’t all have to be about CGI special effects and relentless battles with evil demons. 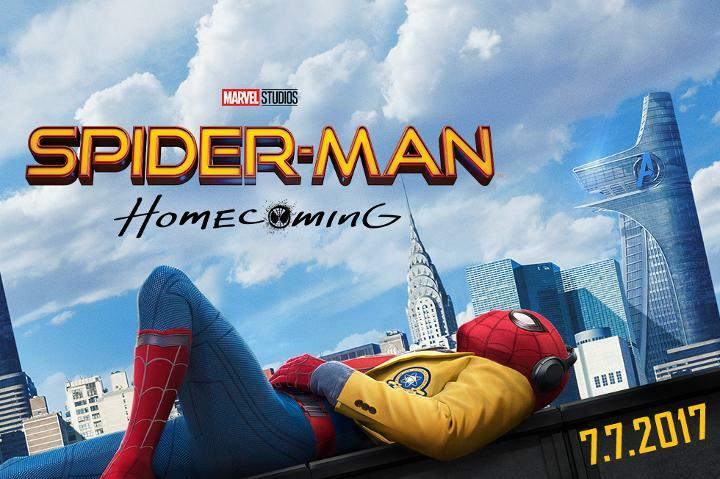 Starring: Tom Holland, Michael Keaton, Zendaya, Jon Favreau, Donald Glover, Tyne Daly, Marisa Tomei, Robert Downey Jr.
Spider-Man: Homecoming - "The Vulture"
Spider-Man: Homecoming - "Stark Industries Suit"